The puzzles and mental challenges are a genre popular in mobile devices, with different challenges and puzzles in the form of different types of difficulty. Might seem that everything is already seen, but still can be found in the various bazaars digital games in this genre with challenges such as aDonutConnect , we can download totally free via the digital store for Android devices, Google Play. The challenge of this game is to help Dony eat all the donuts that appear in each level. You'll need to eat, at least, in pairs, and should not leave any on stage. Also, never be able to eat both different types of donuts (sugar, chocolate, strawberry ...), and not all donuts are always within reach. It is, therefore, a puzzle where you have to look at each level the winning combination of moves to clear the stage. The rules and game mechanics are basic: we'll use your finger on the touch screen to tell what Dony eat donuts and trace straight lines to link these donuts. We can not eat donuts diagonally, so if, for example, on our way we met a donut of a different flavor, first or we will find a way to remove it so you can continue removing remaining candy. 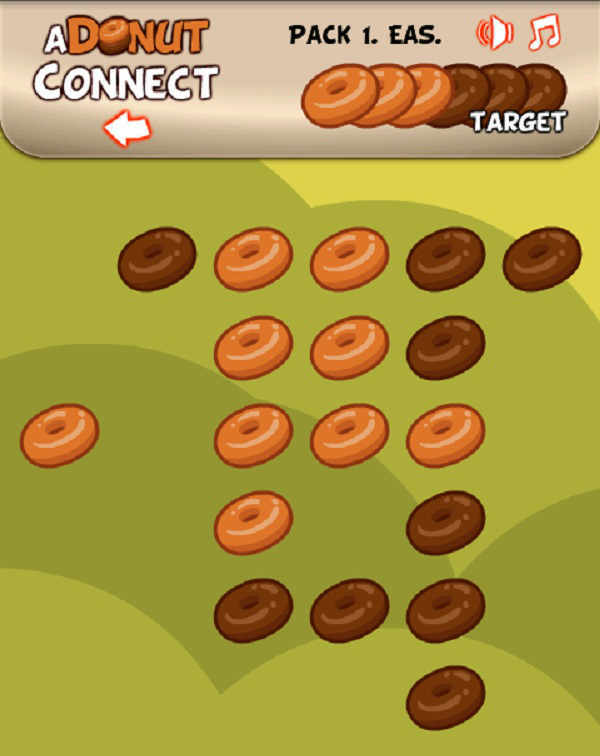 Depending on the level we must join pairs or trios of donuts, what will we think of different ways to cover each level depending on their rules, even later can create different strategies or key movements that will help us and the rest of the game's levels, as can be "liberating" a line of donuts REACTA eliminating one of the same color than the rest by another couple (or trio) away. The game can get really complicated, but the difficulty is not a problem, since the system aDonutConnect levels allows us to begin with tutorial type levels and simple to later move on to more complex levels and with new elements to make it more challenging. A very slick difficulty curve that will make us enganchemos from the first level. The game, even free, has a micropayment system for different level packs. With the hundred which includes basic editing have many hours of play, but if we want to extend the experience it offers, we can always choose those 300 extra levels including. Under the simplicity of this game we have a really addictive game that, even without a remarkable replayability (all levels have a unique solution), we take many hours to complete the first 100 scenarios aDonutConnect has, and will always have the help of Dony some level if we stuck in the game. 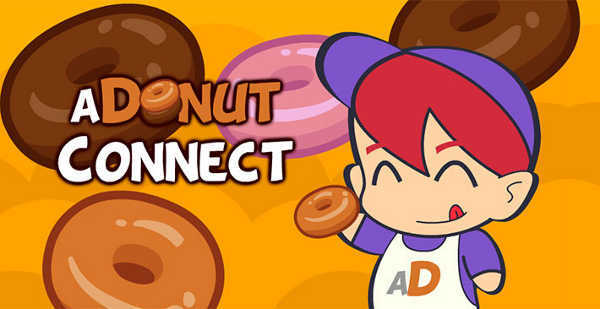 In short, if you like puzzle games, puzzles and a simple but challenging gameplay, free download aDonutConnect and try to complete all levels that this game offers. 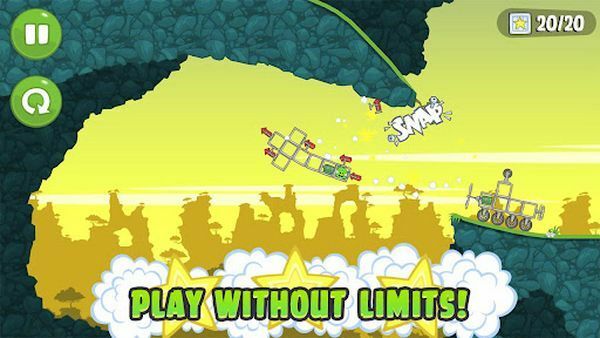 Another game of skill like "Dash" is one of the top positions in the list of most downloaded free apps Google Play. We talked about various games of this genre, characterized by a high speed game and the challenge of reaching the goal without a scratch, in the same way as Turbo Kids , mixing this with other gameplay genres like platforms, bringing the best of the genre with a more challenging mechanics. We find this totally free game in the digital bazaar for Android devices, Google Play. Even a Dash style game, the game is also inspired by the gameplay of racing titles, with a much more competitive than the rest. In each level you have to play with Neil or Winnie, great runners competing alongside other children to reach the finish line first. Competition is strong, even magic can be targets as slowing down or stay frozen in an iceberg, what which results in delay our arrival at the goal. In addition, during our career we jump across platforms and avoid various traps or penalties, without losing sight of speed bonuses or weapons we find along the way. Finally our finishing position will determine the number of stars you acquire in each scenario (up to three), being the best of the awards for the first arriving in record time. This is no game like the previous one, even if we repeat each level to achieve three stars in each of them. Our enemies have no mercy to attack us, and platforms along with the speed of our character will becoming a challenge that we must learn to master to be the first. Unlike other games of this genre, Kids Turbo itself be room for customization, thanks to the points and stars we go getting. So unlock different jackets, pants or accessories to use our Turbo Kid for competitions. If we choose ourselves with the best scores will be monitored at all times to what extent we can control our character to almost extreme speeds. Obviously we will have more speed at more risk of stepping on a trap or of falling between the jumps demos, which would mean a loss of about two or three seconds without being able to run, adding to the delay the speed you acquire just restart, which is minimal . We Kids Turbo competitions divided between the four seasons, each with fifteen different scenarios and a total of 45 stars to get, not to mention the extra world to overcome successfully achieve each season. For each world have different weapons or traps to use, leaving aside a monotonous gameplay bring variety to the 60 levels that can be found, with a very interesting replayability and many hours of play ahead since I tried the first level. The creators of Angry Birds , the Finnish company Rovio, is release. If you do not let him rest long hyper-exploited Angry Birds saga to unveil a new character, Alex Amazing , now return to the fray with a new adventure which stars the evil green pigs have so often crushed, and we have destroyed so many fortifications based pissed launch birds at them. The game in question and that we have spoken on other occasions, called Bad Piggies and is designed for the player to break the coconut to finish each level successfully. The story takes us Bad Piggies pigs side, ie the side of evil, because now we have to help them steal the precious eggs of Angry Birds based ingenuity. With a style reminiscent largely Amazing Alex mechanics, we need to construct various gadgets that will lead us happily to the end point of each level to progress. Then we leave with direct links to download Bad Piggies on iPhone , Android and PC, which are the platforms on which the game has debuted today. We know that these green pigs, well they have planned things, do not get anything right. Not even in space, where gravity I could have had a hand, beat the Angry Birds. Lets see if Bad Piggies can contribute to their victory even for once. 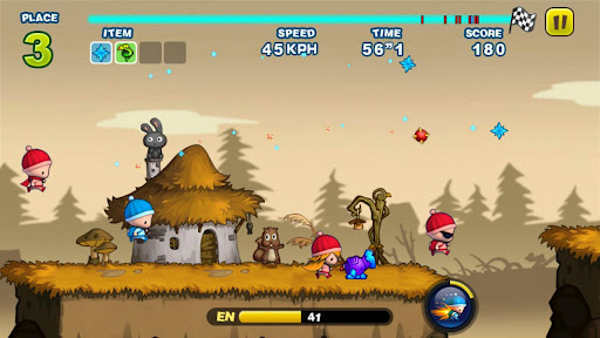 To do this, the game provides us with a number of objects at the beginning of each level, which will serve to create all kinds of junk ground, flying, driving, rotating or shock, anything goes in order to get the coveted eggs . For starters, Bad Piggies has 60 levels spread over different locations classic panels. No change in this respect, players can finish each level with one or three stars depending on how well we have done. If we get the three stars on all levels will be unlocked automatically another 30 screens secret. To create the machines, Bad Piggies makes available a total of 33 items that we can combine in different ways: wings, engines, wheels, balloons and more. That yes, Rovio will use the desperation of gamers in some levels to offer the help of a mechanical pig, which for a small fee we will solve life. We'll leave you with direct links to download Bad Piggies, but not before warning that the Android version is the only free for now, as both the iPhone (0.80 €) and the PC (about 4 euros ) has cost. But PC users can download a demo for the game briefly savor. Nintendo has been slow to join the bandwagon of the DLC but finally seems determined to implement in their games, regardless of who is against this content. The next game in the company will adapt these downloadable extras New Super Mario Bros. 2, one of this summer's big bets for Nintendo 3DS. Specifically it will be three DLC hit the game of the laptop. On one hand we have Gold Mario Go! Go! Pack, which will put at our disposal a total of 30,000 gold coins to get. We also find the The Record A Pack Challenge, with a new time trial mode. Finally the Panic Survival Map Pack will add three new stages. Packets arrive at the Japanese market on October 2 for a price of 200 yen, which is about 2 €. Have not yet been given release dates or prices for Europe and America as the setting for the announcement was a new Nintendo Direct Japanese. We are awaiting further confirmation by the company.